Christoffer Hruskova's Dorset crab is a fantastic recipe to make if you are looking for a remarkably colourful and unique crab dish. 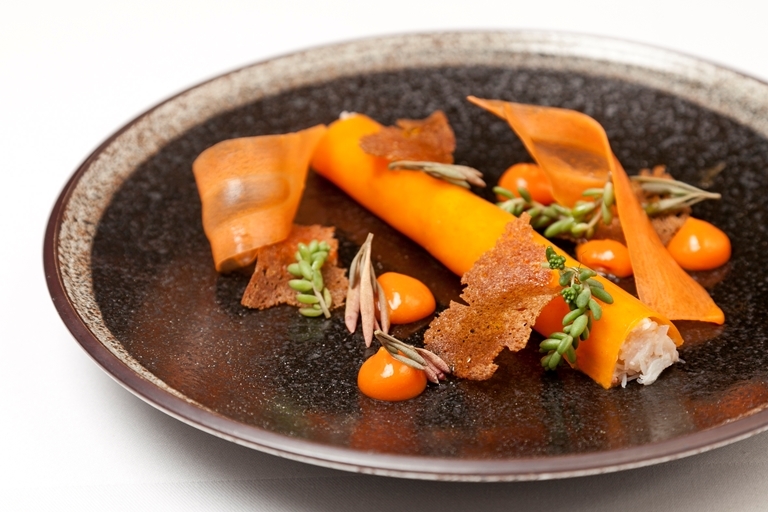 The sweetness of the carrot marries well with the crab meat in this seafood starter. This is a challenging recipe to test your cookery skills.